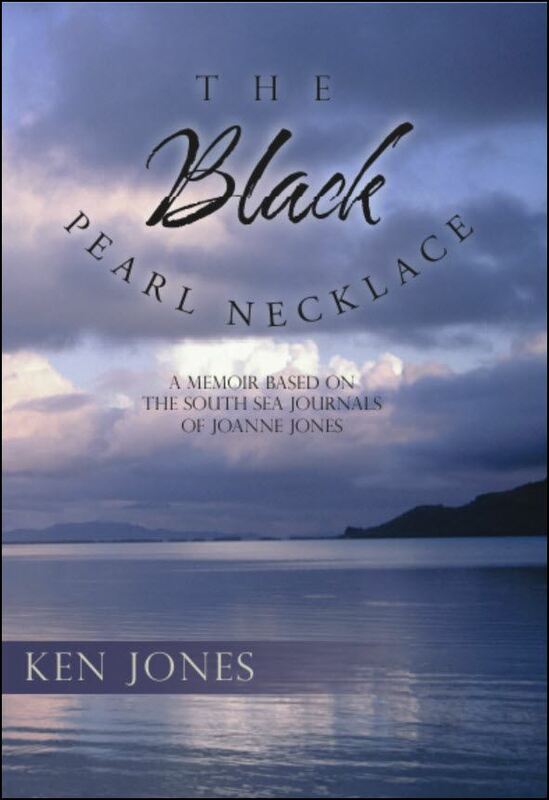 Joanne's warm personality and wonderful sense of humor come through in these excerpts from The Black Pearl Necklace by Ken Jones. Except from page 14-15 . . .
After the first series of treatments, the scans showed a slight improvement. Dr. Radford was encouraged and recommended Joanne continue with the trial for another eight week period. Hope was very high with the thought this could be a major breakthrough. Joanne had lost her hair again in the process but it was no longer a concern since she had several wigs from her earlier rounds of chemo. In fact, she found a new wig store in Asheville, went shopping with her best friend Karen, and came home with several new ones. One day, she was a red head, the next, she was a platinum blonde, and another day, and she was a brunette. Fortunately, she settled on one that was much like her own hair as a medium blonde with a French twist. At least, that was what I called it and she looked great - just like her naturally beautiful self. Except now each morning it took only fifteen seconds to do her hair rather fifteen minutes as in the past! Excerpt from page 16 . . . While in Mazatlan, Joanne took a day trip that included a zip-line traverse through a rain forest while I had a chance to sail in a match race on one of the older twelve meter America’s Cup boats from the 1980s. Something remarkable happened off the coast of Mexico while the four of us were sitting near the pool shortly after breakfast. Over the past few days, we had noticed a young couple who appeared to be by themselves and always looked very unhappy. She was wearing a baseball cap, and it seemed obvious that she had lost her hair - probably from chemotherapy. Joanne went over to them and engaged them in a conversation as we watched from a distance. All of a sudden, Joanne reached up and took off her hair. As she stood there - the wig in her hands and a big smile on her face, the young couple seemed shocked. Slowly the young woman got up and took off her baseball cap. There were these two women, who had never met, standing there “naked as a jaybird.” They began to laugh and then hugged - and for the next hour, they spent time in a zone that only people with cancer understand. The young couple was a brother and sister from New Orleans. Their parents had provided the cruise to try to give their daughter some diversion and encouragement. The hour with Joanne made all the difference in her outlook, and they became good friends and shared their private thoughts over the next week. We were on the last tender to return to the ship (at sunset) – and as we left the Cook Bay, the Captain announced were going to have an impromptu sunset tour of the Opunohu Bay – an even narrower opening with the mountain, Bali, beckoning us at the head of the Bay. Again, mere words cannot capture the colors of the sunset as the setting sun’s rays played off the craggy and somewhat foreboding spires. As if that wasn’t a senses’ overload, the Captain played the music from “South Pacific” featuring “Bali Hi”. There was a huge gathering of passengers on the top deck witnessing The Moment and we were all in awe!! The wind picked up as we left the Bay and as I couldn’t keep my wig on, so I took if off with my weird hair (or lack of it) ... no one even batted an eye other than commenting on my fabulous black pearl necklace!!! Life is good! There is one more very touching story about Joanne and her wigs that we will leave for readers of the book.